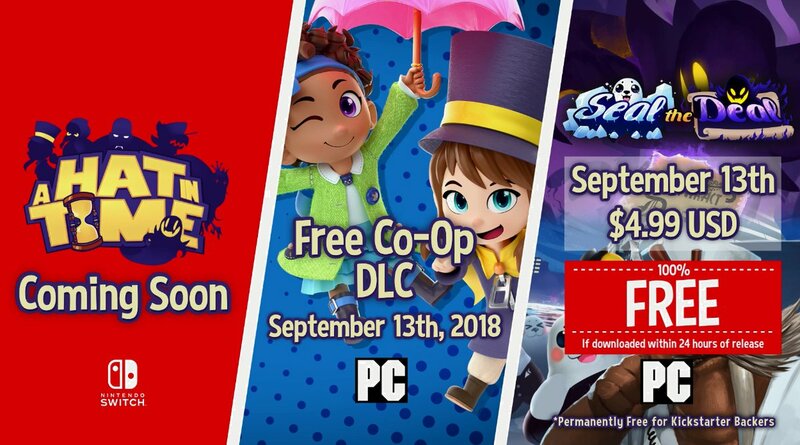 Surprise surprise, as Gears for Breakfast has finally revealed that they would be bringing over the hit platformer A Hat In Time to the Nintendo Switch. Due to the game being built in Unreal Engine 3, an engine that the Switch did not support, developers commented that it would not be possible, but never say never. The game originally launched last year after a successful Kickstarter event, where the game launched to very positive reviews on Steam and other consoles. Being a GameCube love letter, it only made sense for the game to find its way onto a Nintendo platform sooner or later. The port was announced during a Twitch live stream held by the developers. This stream also confirmed that the game would be getting brand new DLC content along with split-screen co-op.